Earlier this year, GE announced its new Alexa-enabled lamp, the Sol, with built-in Alexa Voice Service (AVS), enabling customers to control the lamp, other smart home devices, and more, using just their voice. 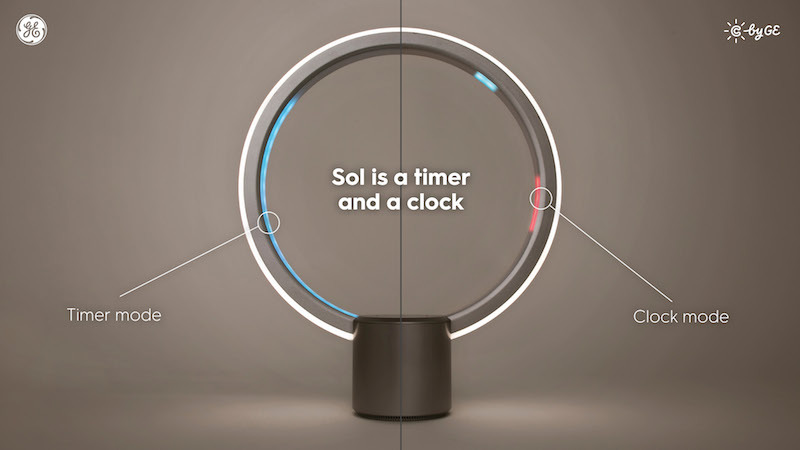 The Sol lamp is GE’s first foray into building voice-forward products for the home, but according to Tom Stimac, GE Lighting’s chief technical manager, it won’t be their last. Recently, we spoke with Stimac to learn how voice technology and Alexa have impacted GE’s product roadmap for 2018. Q1. How did GE get started building with Alexa? As we deepen our connected strategy and portfolio, cloud-based voice services are a logical fit for our connected lighting offering. Voice and lighting are two easy things you can use throughout the home and pair together in a form that fits aesthetically into a room. We are proud to be one of the first third-party lighting devices to integrate Amazon Alexa into a product with the introduction of our industry-first Sol lamp. We also will be working on our voice compatible C by GE bulbs and other products in the future. Q2. How has voice as a user interface changed product development at GE? Voice user interface (VUI) design is having a big impact, and it’s so much more than connecting lighting to voice integration. For our engineering and product teams, it’s really about simplifying and extending an experience for consumers, allowing them to add smart capabilities throughout the home through a really simple form factor. Voice is something we actively think about as we are planning our connected product roadmap. Q3. What factors went into selecting the right mic array and development kit for the GE Sol? Working with the suite of resources made available by the Amazon Alexa team, we were able to identify a mic array and associated hardware partner that allowed us to settle on a great design. We wanted to make sure we weren’t compromising the product’s overall design or interaction with Alexa, and we think where we landed achieves the best of these needs. Q4. What’s the most unique feature of the GE Sol? How will this feature impact user experience? In addition to the great Alexa responses and accessing thousands of Alexa skills, Sol takes the user experience one step further with some great lighting experiences. Two unique features are tied to lighting in the inner ring of the product. The first is a visual timer. In Sol, the inner ring lights up blue once you set a timer and gradually scales back as time counts down, giving you a quick reference point to how much time remains mid-way through a task. Just say, “Alexa, set a timer for five minutes” or the time of your choosing to set the timer. The second is a visual clock. In addition to asking Sol what time it is, you can also see the time visually by enabling the clock function. Within the inner ring, you’ll see an LED illuminate blue where the hour hand would go in a traditional clock and illuminate red where the minute hand would be placed. Q5. What excites GE most about the Alexa Voice Service? Alexa is taking the smart home past the early adopter community and moving smart home capabilities mid-stream. We think there is great opportunity to pair Alexa with another product that’s super easy to use and we live with every day – lighting. We are excited about the continued opportunities we have for innovative product development utilizing Alexa.